Unfortunately this event/contest has been canceled by the promoters. Craig Ferguson isn’t done conquering the United States just yet. After wowing audiences last fall, Ferguson is bringing his Hobo Fabulous Tour back in 2019 with a stop at San Francisco’s glorious Castro Theatre. 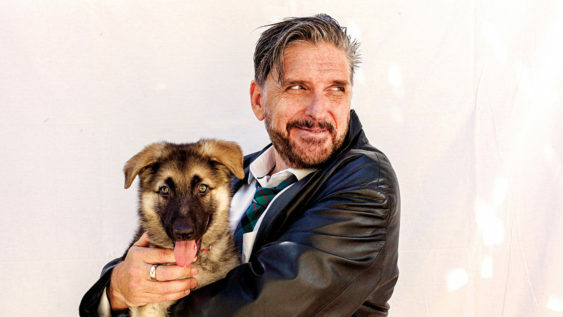 Best known as the host of CBS’s “The Late Late Show with Craig Ferguson” until 2014, the Scottish comedian has a long history of leaving audiences laughing so hard that they cry. Before he achieved fame as a late night talk show host, he stole scenes on “The Drew Carey Show” as Nigel Wick, the title character’s buffoonish boss. Sorry! The contest for CANCELED: Craig Ferguson's "Hobo Fabulous Tour" 2019 | Castro Theatre has ended.